Planning to embark on an adventurous road trip this summer but not sure where to start? Road trips offer the perfect way to explore a destination and create once-in-a-lifetime experiences with family and friends. Offering plenty of flexibility and choices, road trips are all about long car rides, captivating natural sights, activities and more. However, to ensure that your road trip goes as smoothly as possible, it is important to plan before you hit the road. Planning a road trip often appears to be an exhausting ordeal. From organizing the trip itinerary and accommodation to getting your car inspected, there are important things to look into. After all, you don’t want to deal with a car breakdown while on a trip. Since a road trip is a test for your vehicle, checking your car is perhaps one of the most important steps. It is critical to ensure that your vehicle is in sound working order and is able to perform to its fullest. Whether you are a seasoned traveller or going on a road trip for the first time, check out our list for a safer and enjoyable journey. With a few simple and easy checks, you can have the confidence that your vehicle is at its best. Take a moment to tick off from the following safety checks. When prepping your vehicle, you need to look into the following factors to ensure that no mechanical issues arise during your trip. Tyres are of paramount importance for the safety, performance and fuel efficiency of your car. It is therefore important to inspect the tyres of your car before you start. Maintaining the right pressure in the tyres is essential as improper pressure can lead to tyre damage. If the tyres are under-inflated, it leads to overheating. Over-inflated tyres negatively impact the vehicle’s handling on the road. Moreover, correct tyre pressure helps in maintaining fuel efficiency. In case you are unsure, refer to the car manual to check the maximum pressure. For a smoother and safer experience, this maximum limit must not be exceeded. You may also want to check the tread to figure out if they are worn down. In case you don’t have good treads, you are more susceptible to blowouts. All tyres in Australia have a built-in wear indicator. It is a raised bar in the main groove of the tyre. The top of this bar indicates the point up to which you can allow the tyres to wear, after which they need to be replaced. If the tread of the tyres is below this bar, the grip, traction will be negatively affected. Make sure to invest in a new one if the treads are not adequate. 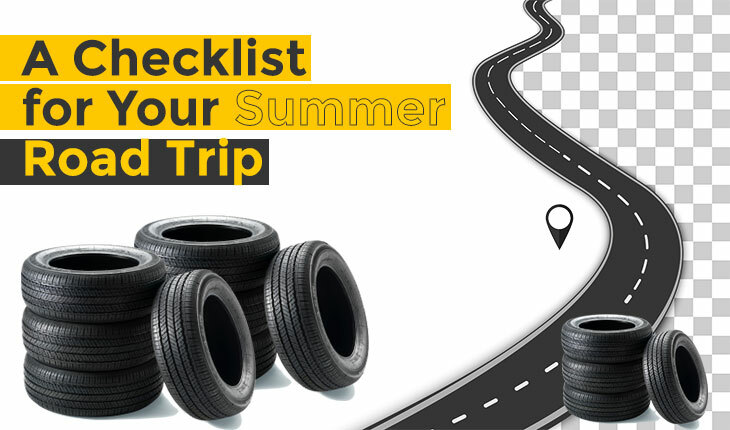 While on a road trip, the last thing that you want is to notice that you need a replacement and even your spare tyre is flat. To avoid any such situation, make sure that the spare tyre is in good condition. It must be fully inflated and you need to have all the tools required to change the tyre. The performance of your car is influenced by a number of fluids. Before you go on a road trip, it is a good idea to check all the fluids in your vehicle. The engine oil is the most important fluid followed by the engine coolant. In case you need a top-up based on the recommendation in the manual, make sure to go only for superior quality engine oil and the right coolant. Apart from this, you also need to keep the brake fluid, power steering fluid and transmission fluid in mind. If your car battery happens to be more than four years old, you must consider replacing it before your road trip. If not, you can carry out a quick visual check to rule out the presence of cracks, leaks or signs of corrosion. If you notice any of the above, it is advisable to get the battery changed. Check the accessory belt of your vehicle, just to be sure that it is not torn. Look to see if there are any visible signs of fraying or cracking. You can also consider carrying a replacement belt just in case a problem may arise during your trip. Apart from the above-mentioned vital aspects of your vehicle, it is also important to look into the smaller details like the light and wiper blades. Check to see if they are functioning properly. With the routine check-ups, you can prevent any mechanical issue from occurring during your trip. This will surely help you save time and make your road trip a truly delightful experience. Your car is really going to work hard during the road trip, so give it all that it needs to keep running smoothly. Ready to set about on the most epic road trip? If you are unsure and concerned about the safety of your tyres, you can trust the experts at Mobile Tyre Shop. We can assist you with all your tyre replacement needs. We supply the world’s best brands and models of tyres at competitive prices. We can also help you with any concerns or queries that you may have about your tyre. Request a free quote and we will get back to you to book a time and location that best works for you. You can also Buy Tyres On-Line and Book a time. Our technicians will come to you to change your tyres. We are available from 7:00 AM to 7:00 PM on all 7 days of the week to assist you. Call Us on 1300 687 000.